Credits: Pretty much everything that DC published, I wrote a story or three. Favorite Villain: The Calculator, I created him. Origin Story: Bob Rozakis has been a Long Island boy all his life. 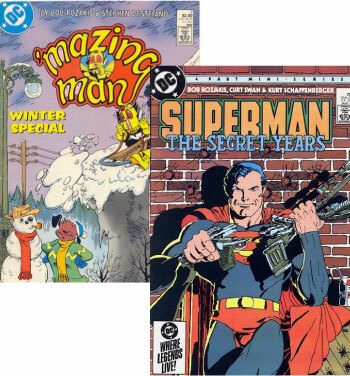 He started his career in comics as a letter hack—writing to the editors of DC Comics every month. Eventually, more than 100 of his letters were published. Because of this, people at DC got to know him. When he was in college, he asked one of the editors if he could come in. He brought some superhero-themed crosswords and word searches he was doing for a fan- zine and the editors liked them enough to hire him on a freelance basis. After he graduated college, DC hired Rozakis to answer the mail. “Which was funny, because I found a lot of my old letters in it.” Rozakis worked his way up through the ranks—from the mailroom he became an assistant editor, then moved to production and finally became a production manager in the early 1980s. Rozakis originally got into comics because it was something he loved. 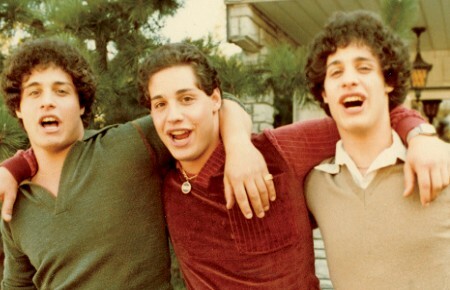 “I grew up with them. I had hundreds of them. I pretty much knew everything that I could learn about Superman and Batman.” He worked at the company until 1998 (he even helped kill Superman) and got out of the industry when, as he put it, “time was up.” Today, he is putting his accounting degree to good use as the comptroller for a local company. Origin Story: Golebiewski has been an artist for as long as he can remember. “I was one of those kids that had a marker in my hand and I never stopped,” he said. When it came time to pick a career, Golebiewski went to the School of Visual Arts and majored in cartooning, honing his craft. 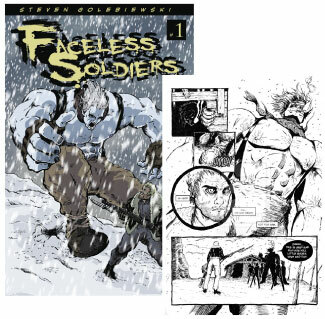 After graduation, he started working on his own comic, Faceless Soldiers. Set in post-World War I Poland, it pitted harried soldiers against undead forces in the harsh winter. Golebiewski did everything himself— wrote the story, penciled, inked and did the lettering and layout—though a college friend did the colors. That book helped Golebiewski get his start in the field. “I would take this to the comic conventions,” he said. “That’s the big Mecca for any comic creator.” He would hand out his comic to anyone who was interested, giving one copy to a college friend who already worked for Archie Comics. A few days later, he got a call for a job interview. Favorite Comic: The Peanuts. I love that Charles Schultz did it for the en- tirety of his career and never let anyone else lay a hand on it. Dream Power: It would be cool to have Green Lantern’s ring, because he can create whatever he wants and fly. Origin Story: Near the comic book store in Oceanside where Bonnet grew up was Stan’s Book Bin, which sold used books. Bonnet used to frequent the store, always purchasing copies of Peanuts and Garfield, his favorites, although he read classics like Superman and Green Lantern as well. Bonnet really got his start in 2001, when a Newsday reporter was at a meeting of the Burnt Toast Gang—a society of Long Island cartoonists. 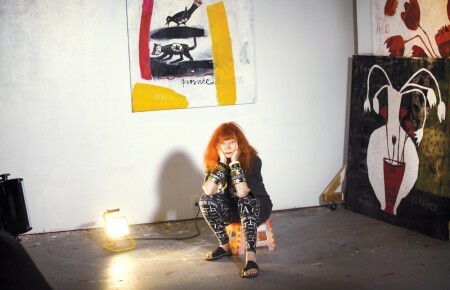 The writer was doing a piece on underground cartoonists and Bonnet was one of those he profiled. One of the strips from his comic, Crunchy, was featured in the story. It helped get him exposure and another local newspaper chain started publishing it. Bonnet’s day job is in graphic design but he also self-publishes his webcomic Suburban Fairy Tales three times a week. He’s been creating the comic for nine years with occasional breaks to work on other strips. This summer, he will be publishing his fourth Suburban Fairy Tales book, which collects two years’ of strips. Many comic superheroes were born in a backyard in Hewlett Harbor and in a basement art studio near Mineola. Learn about the history of Marvel Comics on Long Island in “Marvel and the Apple Tree”.